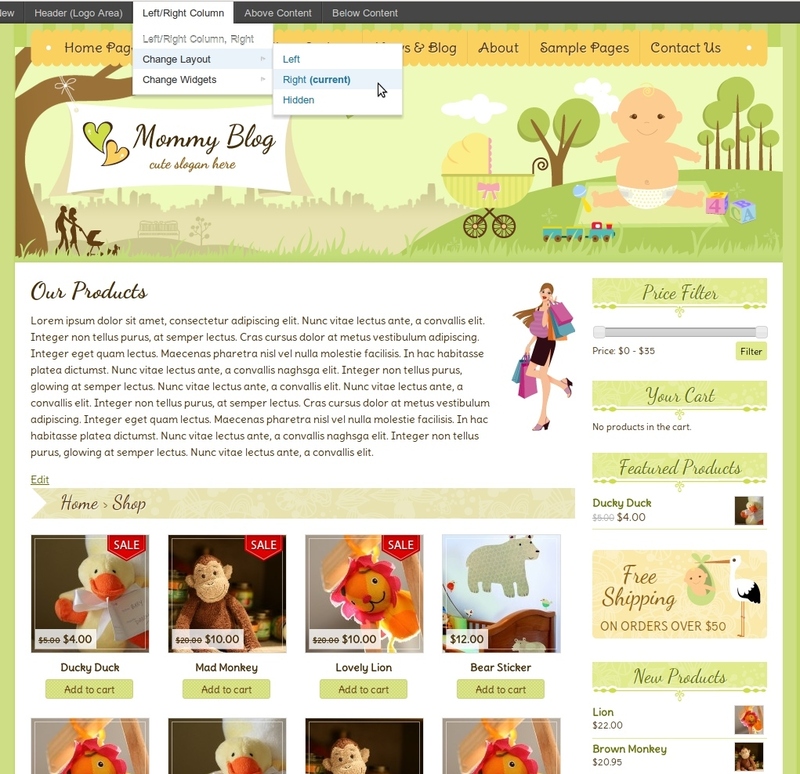 Mommy Blog is a super cute WordPress theme suited to a children’s business or stay at home mothers website. 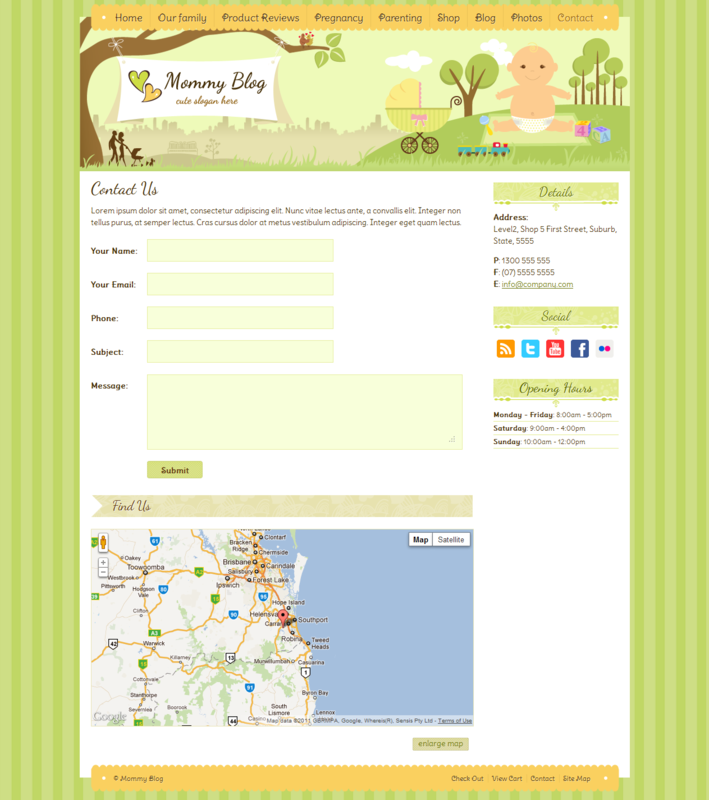 The template features a large header on the home page and a smaller header on the inside pages. It has very nice content pages and a good blog layout. The sidebars are easy to configure and it comes with 8 widgets to help you make your website look lovely. Documentation comes with this wordpress theme. You can view the documentation by clicking here. Please read over the documentation before purchasing. If you have any trouble understanding the documentation or installing the theme please send us a support ticket (see below). 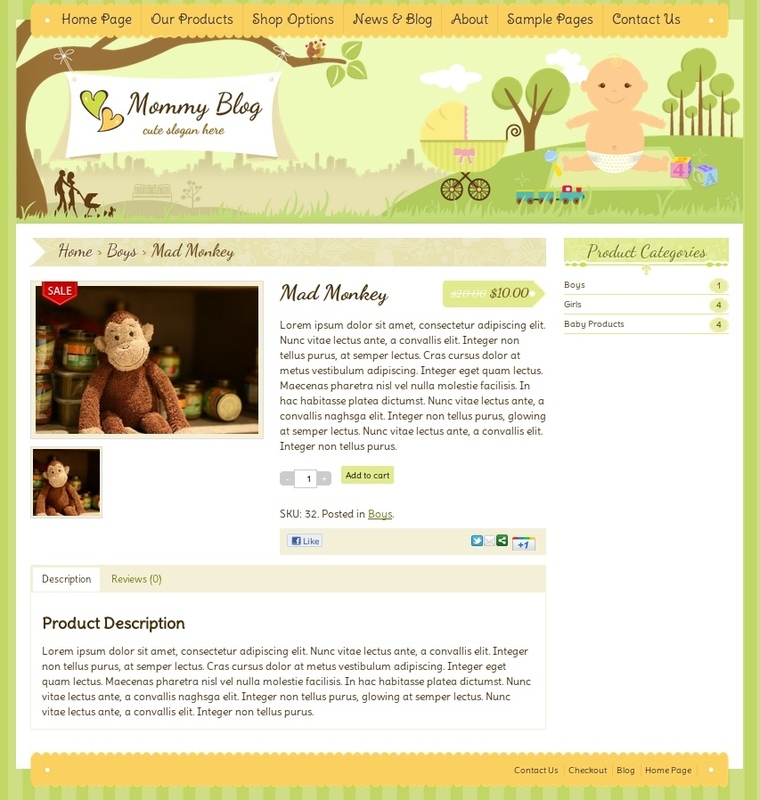 This theme comes configured ready to go with Jigoshop. 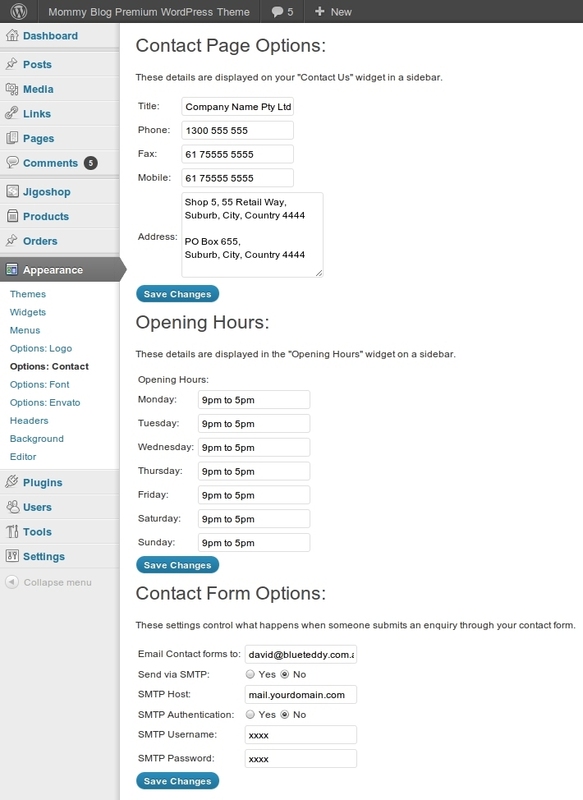 Jigoshop is a very easy to use professional e-commerce solution for WordPress. You can read more about Jigoshop by following this link: http://jigoshop.com/. You are welcome to disable Jigoshop and use this theme as a standalone blog, or replace Jigoshop with your WordPress e-commerce plugin of choice. I hope you enjoy this template, I had a great time making it.